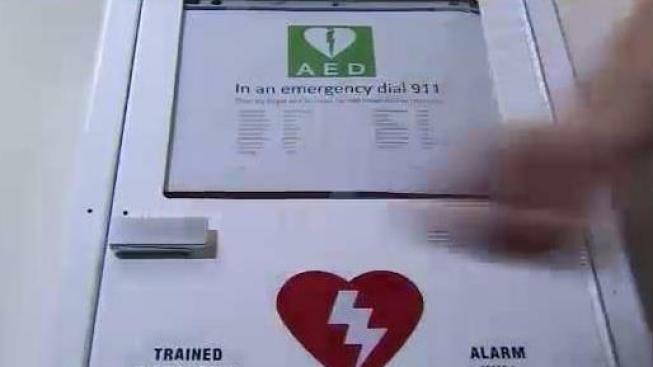 NBC 6 Investigator Myriam Masihy found that many schools in Miami-Dade County had expired defibrillators in their schools. Sophia Pierre Louis smiles when she looks at pictures of her son, Rodjeany. “He’s always happy when you talk to him, he’s happy,” she said. But raising her son was a challenge because of his cerebral palsy. His family wanted Rodjeany to be like other children and sent him to Thomas Jefferson Middle School in northwest Miami-Dade. Rodjeany spent the last day of his life at the school on February 2, 2017. “The teacher called me to say to come to the school because they have an emergency,” Sophia said. He was rushed to Jackson Memorial Hospital where he was declared dead. “I want answers for my son,” Sophia said about her son’s death. For the next 9 months, the NBC 6 Investigators searched for answers. We requested maintenance records for defibrillators not only at Rodjeany’s school but all Miami Dade Schools. We found that in December 2016, the school district sent a memo to principals with a list of 143 schools that needed to replace their AED electrode pads. Thomas Jefferson Middle School was on that list. Its pads had expired months earlier. Other schools with expired pads include Hialeah Middle School. Its defibrillator’s pads expired in 2012. South Dade Middle School and Sweetwater Elementary had some that expired in 2010 and the pads at Miami Jackson Senior High expired in 2007. Of the nearly 1493 electrode pads in Miami-Dade public schools, 629 expired between 2007 and 2016. Sophia was surprised to hear the defibrillator pads at her son’s school were expired. It’s not known what, if any, role it in his death. Rodjeany’s autopsy report cites possible arrhythmia as a likely cause of death. She says detectives have never interviewed her and she only learned about the investigation after hearing it from the NBC 6 Investigators. As for the hundreds of expired pads in schools, the district provided a written statement. “The safety, security, and well-being of our students are paramount priorities for this school district. As such, Miami-Dade County Public Schools has taken every requisite measure to ensure that our Automated External Defibrillators are in proper working order, appropriately maintained, and tested. We continue to review the efficacy of these devices and will recalibrate training and maintenance accordingly. Attorney Spencer Aronfeld has written numerous articles on defibrillators. He says while the life-saving equipment isn’t required by law, anyone who chooses to have one is responsible for its maintenance. A spokesperson for OneBeat CPR, a company that services AEDs around the country, said proper maintenance means new batteries every four years and new pads every two years. The manufacturer of the defibrillators at Miami-Dade County Schools, Cardiac Science, donated them in 2007. Since then, the district has been responsible for maintenance. As mentioned in the state, the school district has now entered into a contract with the company to maintain the defibrillators now. Sophia now awaits the result of the school police investigation to learn if the defibrillators used on her son worked properly or if anything else contributed to his death. “We miss him. Always. Always,” she said. Like many other mothers, she trusted her child was in good hands when she sent him off to school that February morning.